Situated in the heart of the Floreat suburb, along Kirwan Street, lies Fortysevenkirwanstreet. Matt and I decided to catch up for brunch and we decided that Fortysevenkirwanstreet would be perfect since it is not too far from where we live. When Matt and I arrived, the cafe was quite busy and crowded as it was during the peak hour brunch towards lunch time. This shows how popular the cafe is among the locals in the area. Luckily, we were able to find a table to ourselves inside as it was really hot on that day! 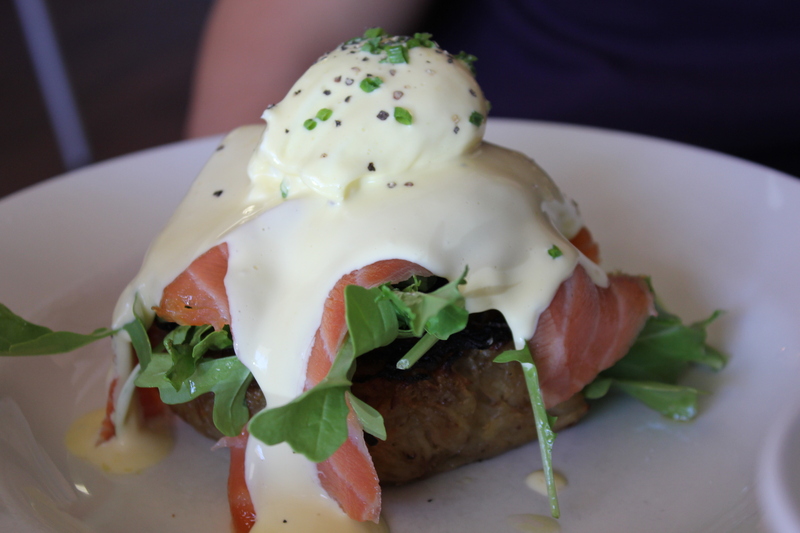 Matt had the Potato and Leek Bake with Smoked Salmon, Hollandaise and Poached Egg ($19.90). Here is Matt’s review of the dish he had: The presentation of the dish was nice. Even people across the table said it looked yummy! The serving size was generous and the potato complimented the smoked salmon and fresh green perfectly. It was a nice dish and I would recommend anyone who are around the area to try it! As it is currently the season of Lent, I have to abstain from meat every Friday until Easter. I was lucky that Fortysevenkirwanstreet offers a few vegetarian or meat-free dishes. 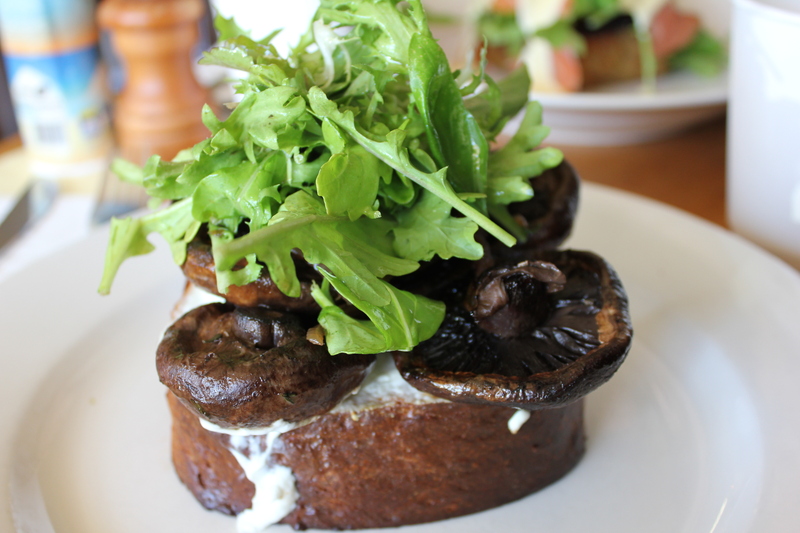 In the end, I settled for the Grilled Mushies on Brioche, caramelised onions, goats cheese and endive ($17.90). There was a generous amount of mushrooms which have been grilled to perfection. The brioche, which was soft and buttery complements the grilled mushrooms well. Together with the goats cheese and endive, it gave the dish its freshness and an added punch in flavour. It was lovely a dish. How I wish that I have an extra stomach, so I could try the other dishes on their menu but I must also say that the cakes and baked goods on the counter looks really tempting! The service was very friendly, efficient and attentive too. Yes, Fortysevenkirwanstreet can get busy during lunch hour but don’t worry, there are plenty of tables available, so you can choose to sit inside the cafe or outside as you wish. Will I be back again? Yes, for sure! Considering how near it is to where I live! The mushroom dish was really lovely 🙂 Did you request for a side serve of hollandaise?